The Recipe: No more boring chicken salad! Notch up chicken salad with chickpeas, olives and Indian-style spices in a yogurt dressing. Hearty and delicious with tons of protein, this is definitely a "savory" chicken salad. For Weight Watchers? It's very Freestyle SmartPoints friendly, all the ingredients except one (olives) are zero points! 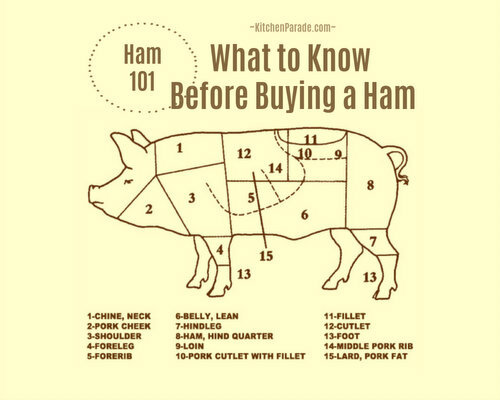 The new food pyramid unveiled last spring by the U.S. Department of Agriculture offers, well, modest improvement. It does include daily exercise and emphasizes vegetables by separating them from fruit. But MyPyramid.gov (update, now called ChooseMyPlate) is filled with useful tips about food choices and portion sizes. Vegetables are sorted into easy-to-remember groups including green vegetables (broccoli, spinach, leafy greens), orange vegetables (carrots, sweet potatoes, squash) and starchy vegetables (corn, peas, potatoes). Dried beans crop up twice, first with vegetables and then as a protein source under "meat and dried beans". Beans are a great meat extender, especially if your aim is to limit cholesterol and increase fiber. Me, I’m happy to have an unusual mélange of flavors and textures that makes up easily, "tastes" good to me and is good "for" me too. That's because while food advice may change, what doesn't change is the need for quick, healthy and economical suppers made from common pantry ingredients. Chickpea & Chicken Salad? In spades, people, in spades. All that and when the entrée is so virtuous, feel free to tempt you and your family with a dessert of what the USDA calls "discretionary calories"! SERVING SUGGESTION Funny thing, I do like to serve this salad with hummus on the side! Usually it's the wonderful Roasted Eggplant “Hummus" (Eggplant & Chickpea Dip & Spread) but some times it's my Crazy-Smooth Crazy-Good Hummus. I do love-love-love good hummus! There's a special magic to Freestyle-friendly recipes. You don't need to actually count points. You just need to check the ingredient list, whether the recipes are here on Kitchen Parade or another food blog or a magazine or a cookbook or a friend ... or even your own recipe box! Take Chickpea & Chicken Salad. Save one, every single ingredient qualifies for Freestyle! Rinse the chickpeas in running water and drain in colander. While the chickpeas drain, mix all the remaining ingredients except the chicken in large bowl. Add the chicken and chickpeas and combine well. Taste, then season as needed with salt and pepper. Cover and refrigerate for at least 90 minutes for the flavors to meld. ALANNA's TIPS For cooked chicken, use leftover grilled chicken breasts, leftover Fast Roast Chicken or my favorite, a rotisserie chicken from the grocery store. A whole rotisserie chicken usually yields exactly three cups of cooked chicken. If the yogurt is a little wet, drain it in a strainer first. I love to cook chickpeas from dried chickpeas (it makes especially good homemade hummus, see How to Cook Dried Chickpeas Especially for Hummus aka "Jerusalem Chickpeas") but for this salad, I prefer the firmness (to say nothing of the convenience) of canned chickpeas. NUTRITION INFORMATION Per Cup: 217 Calories; 6g Tot Fat; 1g Sat Fat; 46mg Cholesterol; 622mg Sodium; 16g Carb; 4g Fiber; 3g Sugar; 23g Protein. 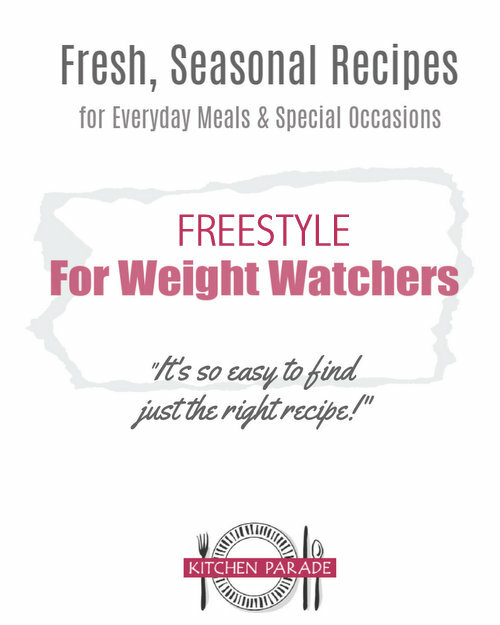 WEIGHT WATCHERS Old Points 4 & PointsPlus 5 & SmartPoints 5 & SmartPoints Freestyle 1 CALORIE COUNTERS 100-calorie serving = 2/3 cup (8g protein). This recipe has been "Alanna-sized". Plate or Platter, Either One. Chickpea & Chicken Salad makes for a great buffet salad too, here I've spread it on arugula on a platter with slivers of pickled red onion. Ready for Some of Those "Discretionary" Calories? Chicken Salad: So Convenient, So Good For Us! This is a great recipe and I've been making it for a few years now. Wanted to mention that last year during Lent on a certain Friday when I was too exhausted to cook, I made this but used solid white albacore in place of the chicken. It was also very tasty. This Lent if I have another 'too exhausted to cook' Friday, I will make this again using albacore. I certainly prefer the chicken, but the albacore was a good swap out to meet the Fish Friday requirement of Lent. Thanks so much for all your terrific recipes.